Sizwe Zako, Dr. Thomas Chauke and the late Johannes Kerkorrel (Ralph John Rabie); legendary musical icons who have left indelible marks across multiple music genres over the decades, will receive the MTN SAMA 19 Lifetime Achievement Award sponsored by Amstel which comes with a cash prize of R15 000 at the 19th Annual MTN South African Music Awards (MTN SAMA 19) at the Sun City Superbowl. “Sizwe Zako, Dr. Thomas Chauke and Ralph John Rabie (posthumously) are irreplaceable pillars in South African music and their significant contributions to the arts can never be underestimated and they are truly deserving of this honour”, said MTN SAMA CEO Nhlanhla Sibisi. These three very talented recipients showcased their music to the whole world and proved to be amongst the most successful musical exports that South Africa has ever produced. “As Amstel we believe in taking time for the things that really matter, and for those artists who have taken their time and achieved the pinnacle of success in music there is only one award, the MTN SAMA Lifetime Achievement Award which brings this belief to life. All three worthy recipients have shown that when you love what you do, and you take your time to be the best you can be, greatness in inevitable,” Lizeanne Kronk, Brand Manager Amstel Lager. Johannes Kerkorrel (Ralph John Rabie) is a posthumous recipient of the award and was a prominent icon of the alternative Afrikaans music scene. He was a significant player in the vibrant cultural movement that sprung up during the 1980’s as popular resistance to apartheid gathered momentum. Johannes Kerkorrel was a true African in every sense of the word. He promoted the concept of a rainbow nation even before the term was coined. He wrote songs that made you realise that you had certain emotions that you never knew you had and encapsulated a true South Africaness. Johannes Kerkorrel passed away at the age of 42, on 12 November 2002. The country that had alternately loved and loathed, repelled and inspired him, celebrated his life in a wave of tributes. Sizwe Zako is a household name throughout the Southern African region. His obsession is to continue making great music and, in the process, unearth a galaxy of musicians whose fortunes are changed for the better. The array of superstars that have benefited from his well-crafted designs and innovations as a keyboard player, a composer, a producer, owner of a studio with the best technology and a record company, include the late Vuyo Mokoena, Ebony, Pastor Khaya Mayedwa, Rebecca Malope and Peter Mokoena. These are not the only artists that have confirmed Zako as a genius. Of course, there are many others. If anybody can be accredited with harnessing the genre of gospel music in Mzansi – which has exploded like showers of blessings – it is Sizwe Zako. For what seems like a lifetime Dr. Thomas Chauke na Shinyori Sisters have been in the forefront of Shangaan/Tsonga music. In a career spanning over 32 years, Thomas Chauke has released over 30 albums under his flagship: Shimatsatsa meaning 'a beautiful woman' which has earned him cumulative sales in excess of two million and more South African Music Awards in the Tsonga Traditional category than any other musician. Born in Salema Village, Limpopo; Thomas Chauke releases a new album annually which every time goes on to reach Gold, Platinum or Double Platinum status. When it comes to Tsonga Traditional music, there is no-one who can match Thomas Chauke's gift and achievements. Thomas has added his unique voice to a music genre that is beloved in his home region of Limpopo Province. 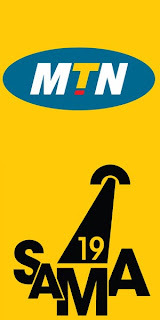 Sizwe Zako, Dr. Thomas Chauke and Ralph John Rabie will be honoured during the MTN SAMA 19 ceremony on Friday 10 May 2013 at Sun City’s Royal Ballroom which will be broadcast by SABC 1 at a later stage.